Idomeni is a village located in the outskirts of Kouri hill, in northern Greece. It mounts in the west bank of Axios river, close to the broders with Former Yugoslav Republic of Macedonia. Since 2014, refugees from Syria, Afghanistan, Pakistan and other countries of the Middle East began to flock to Idomeni in order to pass the Greek borders and enter Macedonia. 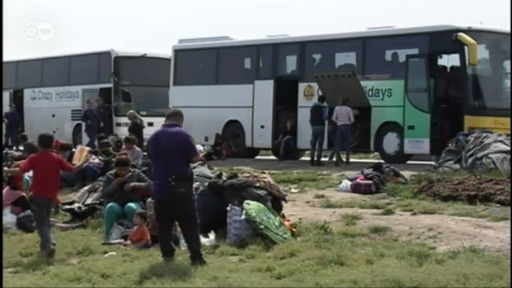 The refugees prefer this way to reach countries such as Germany, entering the Schengen Area again from Serbia. Who is Ai Weiwei? Following his arrest and surveillance in China, the artist now lives in Berlin where he is taking on European refugee policy. The DW documentary "Ai Weiwei Drifting" accompanied him for one year. With the onset of winter authorities have yet to fully equip the refugee camps in northern Greece to help withstand the increasingly miserable conditions. Marianna Karakoulaki and Dimitris Tosidis report from four camps. Many refugees are at a loss in their makeshift camps in Greece. Volunteers have set out to help them get the information they need and debunk false rumors. Marianna Karakoulaki reports from Thessaloniki. After clearing Idomeni, Greek police are now evacuating other unofficial camps. Yet refugees are still trying to illegally cross Macedonia to reach the EU, even setting records in doing so. Over 50,000 migrants and refugees are trapped in Greece after Balkan countries shut their borders. Many remain at the Greek-Macedonian border, hoping for a way to western Europe. When the camp at the border village of Idomeni was recently closed, many were moved to a nearby makeshift site. A new FM radio station - set up at the camp - now keeps them informed, as Kristina Jovanovski reports. Refugees who were forced out of Idomeni or left before the camp was cleared, are finding that conditions are barely better in other camps that have been set up, as Marianna Karakoulaki and Dimitris Tosidis discovered. Despite closed borders, Serbia still offers a path to a better future for many migrants. However, a new camp on the Serbian-Hungarian border could quickly become the next Idomeni, as Lidija Tomic discovered. 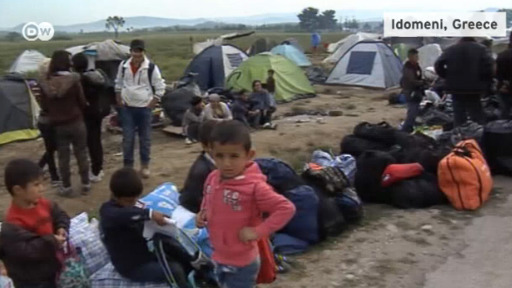 Greek officials have confirmed the closure of the squalid migrant camp near the border with Macedonia. According to activists, the plight of the refugees who lived there has only worsened. Greek police has been busing refugees out of Idomeni, with no violence reported between the migrants and the security forces. The move to accommodation in Thessaloniki is running "smoothly," according to the government. 1500 migrants found themselves homeless again after Greek police relocated them from the overcrowded camp of Idomeni. While people were being brought to other camps, the tent city was demolished with bulldozers. Greek police Tuesday began clearing the overcrowded Idomeni camp, a migrant flashpoint where thousands of desperate refugees have been living for months in squalid conditions. Greek authorities have begun evacuating the country's largest makeshift refugee camp at Idomeni. The camp is home to nearly 8,500 people, mostly from Syria, Afghanistan and Iraq. Greece has launched an operation to gradually clear the Idomeni refugee camp on the Macedonian border. Authorities have blocked off the area and sent in hundreds of riot police. Athens plans to relocate over 8,000 refugees from the camp near Macedonian border, officials say. Some 50 riot police squads are to be deployed to Idomeni, according to a police source. Thousands of refugees are still stranded in Idomeni. Children here have witnessed traumatic events - from war at home to horrible conditions at the camp, facing an uncertain future. One girl shares her haunting pictures. As the Idomeni refugee camp in Greece fades from the 24-hour news cycle, three refugees are filling the (absent) reporters' shoes. What began as a parody with a fake camera has become a real online news outlet.